Carsonstown is a large townland, located east of Saintfield in County Down. I first visited in winter when the road sign was dusted with frost. 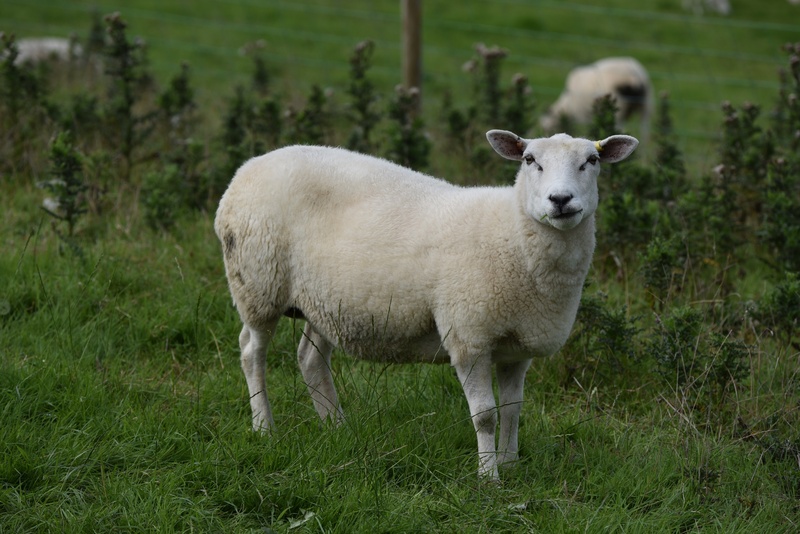 It was a little warmer in August, and the sheep were enjoying the recent growth of grass. 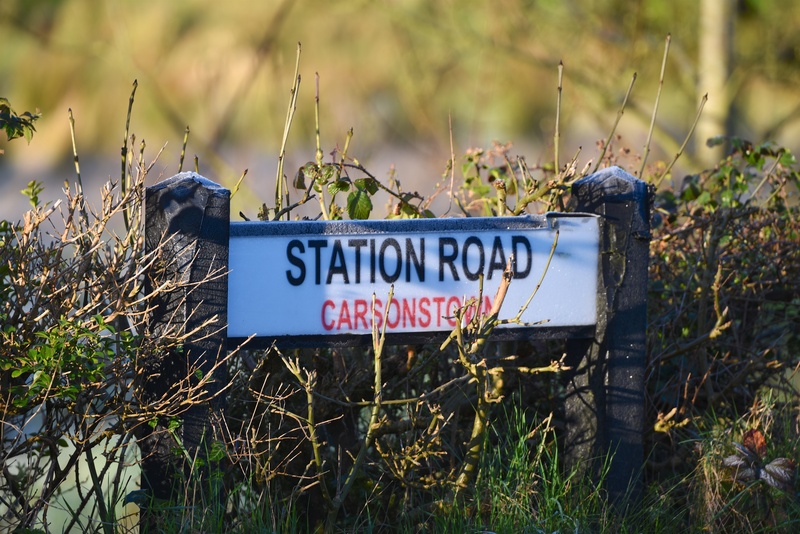 The name Carsonstown probably comes from the Irish Baile na gCasán meaning ‘townland of the footpaths’. Today, the footpaths have become roads. 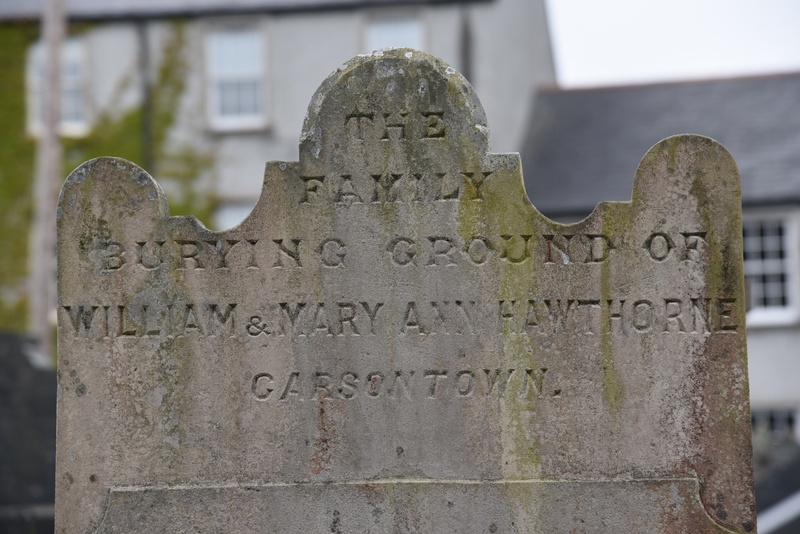 Could the townland be named after a family called Carson? Unlikely, according to PLACENAMESNI. It’s more likely that English speakers took the Irish name Baile na gCasán and changed it over time into ‘Carsonstown’. English-speaking stonemasons seem to have made a habit of engraving it as Carsontown without the second S. I found several gravestones like this in the churchyards of Saintfield and Raffrey. 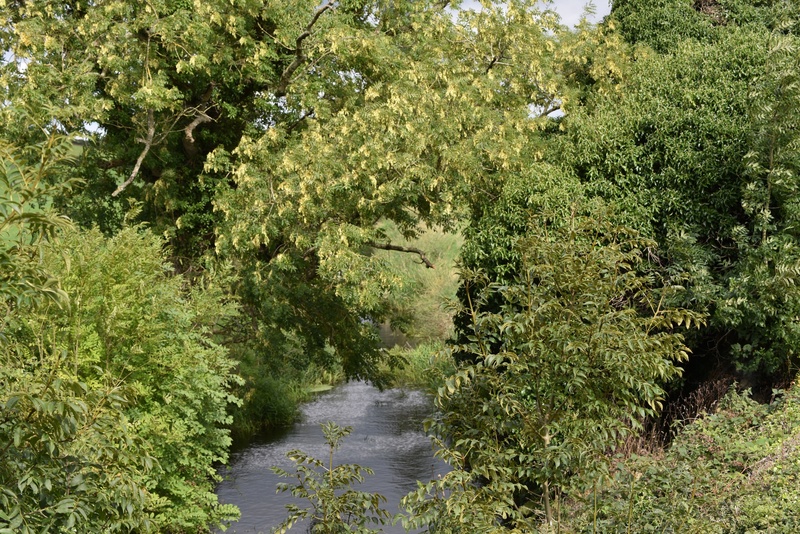 Maybe the prettiest part of the townland is not a footpath, but a waterway. Carson’s Dam river runs through this townland and Aughnadarragh, flowing south to join the Ballynahinch river. 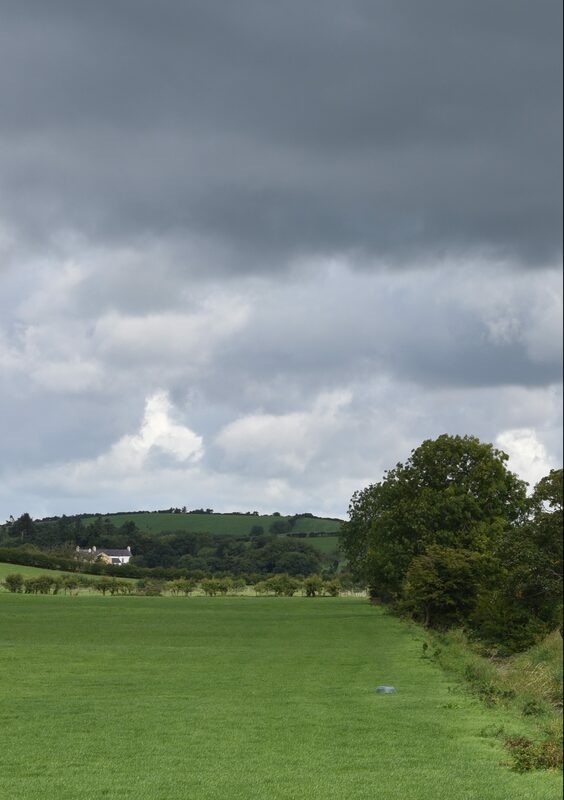 Which townlands border Carsonstown? To the north, Ballycloghan, Ravara and Carrickmannan . To the east, Aughnadarragh. To the south, Lisowen and Leggygowan. To west, Ballyagherty. For more gravestones related to this townland, click here. 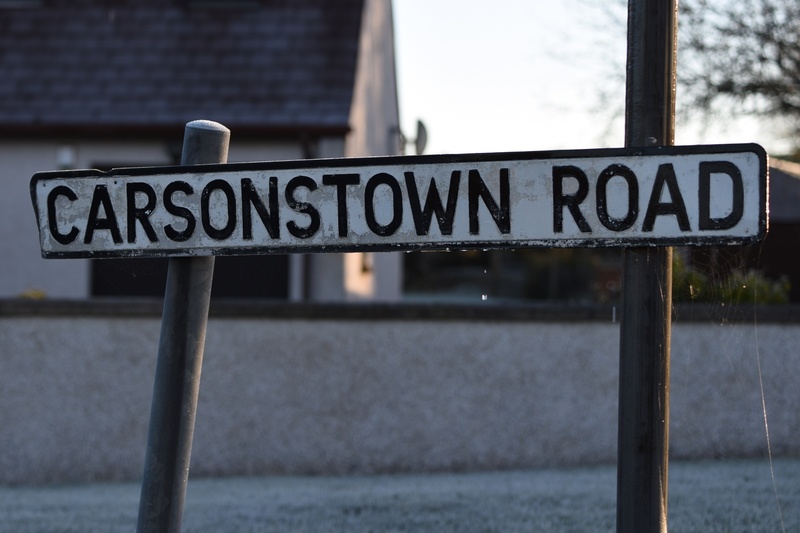 Click here for a map of Carsonstown on Townlands.IE. Finally, click here to read more about the history of the townland name on the PLACENAMESNI website.